Jeromy Wright is a percussionist and teacher living in Grants Pass, Oregon with his wife and 5 kids. His many passions include family, percussion, mathematics, Eastern European language & history, reading, and outdoor adventure. Jeromy spent four years at the Alan Keown Marching Percussion Camp as a student and returned as a member of the staff in 2005. In the interim he spent 2 years in Eastern Europe and 3 years playing snare drum in the Oregon Drumline while pursuing his bachelor’s and master’s degrees in mathematics and education at the University of Oregon. 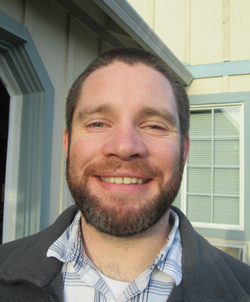 Jeromy currently teaches advanced math and personal finance full-time at North Valley High School (just north of Grants Pass) and private drum lessons part-time.